Wrist Wrap is offered by Flamingo Health in an Universal size that fits all. 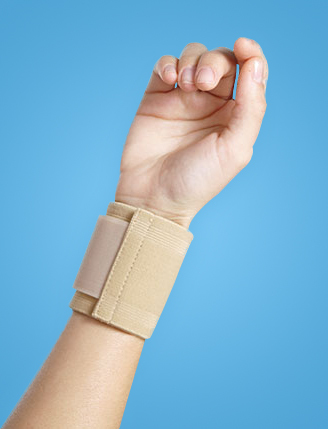 This product is ideal to support a partially immobilised wrist. It also provides protection to the wrist in the most comfortable manner and is very easy to use. Flamingo Wrist Wrap is widely appreciated by the masses for its excellent grip and durable standards. The optimal therapeutic warmth and compression provided by the Wrist Wrap is quite amazing and that has increased its popularity in the medical sector. This product allows natural movement of thumb and fingers in the most effective way. This product has excellent stretchability, extreme softness and great compression which speeds up the healing process. It can be used as weight lifting straps as they are multi purpose.